You might have missed my viewpoints few weeks ago and wonder if I did not follow the recent series of events in the great lakes region, especially Eastern Democratic Republic of Congo (DRC). As we were ending 2013 and get prepared to face challenges ahead in 2014, I better thought to sharing loniliness of those who couldn’t celebrate the new year due to their socio-economic status. The reason was so clear as celebrating the end of 2013 reminded me how many people in my country, families and individuals are so deprived and vulnerable to the extent of being unable to celebrate it because of poverty and its related consequences. Even though the country is potentially rich, its population still starving and striving to access basic needs; while others are provileged and can live to their willingness. Provileged people, leaders …despite their size in numbers, can decide even to flee their wealth to safe economies, regardless the way they have won it. As I decided to share the bitterness with my fellows compatriots, I recalled that at least in some part of my region, civilians can rest without fear of bombings and shellings; that is Rutshuru and Nyiragongo, North-Kivu Province. It sounds to me as an expression of a future hope if these achievements can be enhanced by handling the root causes of the conflicts and equal distribution and redistribution of resources. Meanwhile, the sad news came out that Col Mamadou Ndala was assassinated in a likely premeditated ambush while the area of incident was considered to be safe. I lost my mind, felt depressed and start to question myself about the expected hope in the future. It reminds me how bravery was this senior commander in his 30th; committed even to liberate his compatriots into the deep stomach of fishes in the lakes. A brave commander rising within a disfunctional army structure that might have triggered his death. Col Mamadou, never feel shy to express himself in Swahili within a “Lingalazed” army structure. His attitude and declaration were impressive and wonder the origin of such jealous sentment that led to his killers to do so. The complicity and complexity of the surrounding environment of his death can express an anticipated failure to have the truth established. Additionally, the reader familiar to the eastern DRC region and the country in general might be aware of such targeted killings of army officers in cowardly circumstances. Many of them have fallen due to internal “competition”or resettling accounts among officers and have ever been investigated for. Consequently, Mamadou’s case isn’t an isolated case. It is still reminding the emergency of reforming the security services and tackling the patronage within the national army forces. Recent series in the great lakes region took cross-borders forms. From DRC to neighboring Rwanda till Johannesburg. 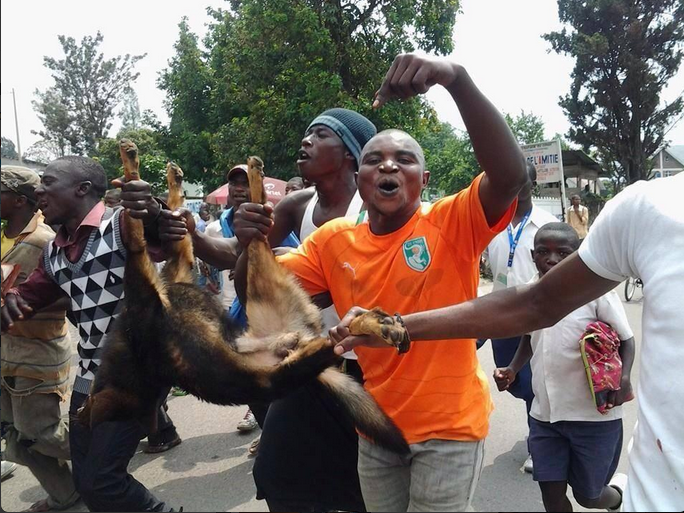 The wide attacks on 30/12/2013 and the ongoing armed confrontation in Katanga; Goma, Beni, Bukavu’s crowds celebrating the death that never happened and neigbhors celebrating deaths that really occured in DRC and SA. Surprisingly, some of the celebration took place into a closer friendship cycle; sounding that there has been officers who feasted Mamadou’s death among FARDC troops. My first impression was to blame the crowds invading streets to celebrate someone’s death. I was normally feeling as an african whose attitude in front of the death is to apparently sharing the sorrow despite the existence of griefs towards the dead. However, public figures declared not having pity over an assassination, expressing that my assessment over crowds’ motivation was wrong. Crowds had their own way to celebrate as did others in their covered speeches. The difference between these two moves is that public figures can’t celebrate rumors; while the crowds did. On the other hand, it looks like public figure represented themeselves or stand for a crowd behind them; while the crowds in Eastern DRC were representing themeselves or they would have elected their own representatives if they wish to. That is, celebrations on both sides were unlikely different if analyzed in this way. 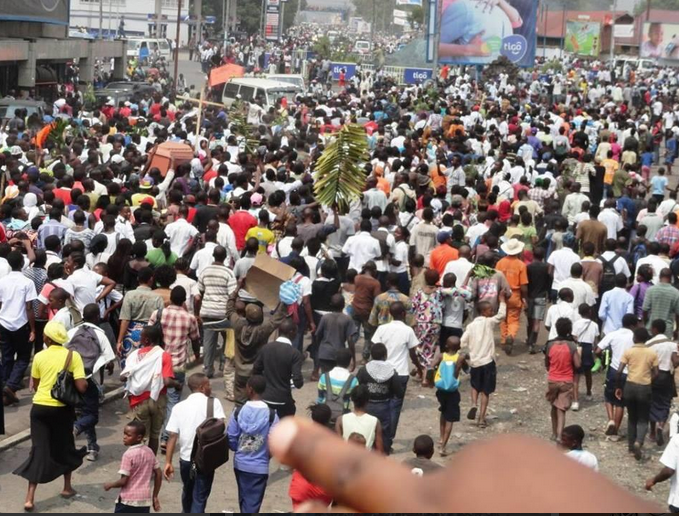 Thus, celebrating a “betrayal’s deaths” in the great lakes is not a question to blame to congolese crowds in Goma, Beni and Bukavu; it is rather a question to be discussed and researched for determining such spectacular moves within an african culture. Nonetheless, there have been questions remained to be answered: Those celebrating deaths across-borders are well informed on their real problems? Is it possible that “betrayal’s death” gives an automatic and blueprint solutions to these countries’problems? What if the causes of the problems in the region and specific country were wrongly assessed and we probably are parts of them in one way or another? It sounds that we will finally celebrate our own deaths in the long run because of a narrow assessment of root causes of our problems. There is also a possiblity that some were celebrating because they were entrapped for and would have fallen into the trap. Time to rethink twice and understand all these issues and manipulations in the region. My advice is to check the contour of our problems, comprehensively solve them and then celebrate while keeping the neighborhood in an african and human style. Previous PostDomaine Protégé dans les Relations Belgo-Congolaises : Le Fédéralisme Pragmatique (Communautaires & Linguistiques)Next PostLa RDC est-elle dans une phase d’Incertitude, d’Otage du Katanga ou du Détournement d’Attention Populaire ?